I don’t want to be overly coarse and harsh, so I choose to use asterisks for the title of this post. But my feelings are raw. It’s about Death. Death really pisses me off. Why Death? No. I mean, really! Why Death? What kind of sick trick is this? God is one sick f**k! We are brought into the world just to die. Think about it!! 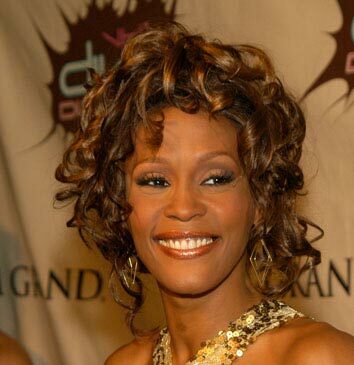 Whitney Houston is dead. Normally I would just feel badly and let it drift away into my already wounded subconscious. Not this time, though. I was already sad. I was already pissed. I did love the way the news announcer looked when she gave the news. It was like “Oh God do I really have to lay this one on them?” I mean she really didn’t want to give us that news. I could tell. It actually touched me. We are all victims on this pitiful Earth. Because we die. We get a brief glimpse of the divine only to die as an animal. It makes me angry. God is an a**hole! Why all the asterisks you ask? Because if I let myself get into a rant it wouldn’t be fun to read, it would just be sad. So I temper my feelings just a little. So I can say what I really want to say. Why is it that we die? Who is responsible for this? I don’t want to hear all the usual metaphysical mumbo-jumbo. It fits into the grand scheme of things blah blah blah. I have done this stuff too, even in a very recent post. Maybe we will discover our own true nature. Yeah, right. Maybe we are just f**king dead! Dead meat. Maybe somebody f**ked up, and the results were dumped on some God forsaken planet in a God forsaken galaxy, We are somebody’s abortion. I swear I feel like an aborted fetus at times. Death is an outrage!!! We should not be happy with it. We should not justify it. We should overcome it. Now I can feel my sense of outrage subside and rationality setting in. That is how it works. Our reason serves as an anaesthetic, numbing us to the truth. Because the truth is sheer terror. A gaping maw of nothing. NOTHING Get your head around that! You can’t. So you rationalize. “It’s all so sad.” we say and of course it is inadequate. We can’t address this horror with words. I can remember vividly the horror, the outrage I felt when I was at my Mother’s funeral. The grotesque, surreal scene of my Mother’s body, an embalmed chunk of meat, lying in a coffin, surrounded by roses. What the hell is this? Somebody’s idea of a sick joke? She’s dead, and you stick her corpse out here for us to see? How sick is that? It felt like the entire fabrie of the world should be rent asunder. No, the wind is not allowed to blow, the birds are not allowed to sing, all must come crashing down and end. For my mother is dead. Nothing is right about that. Nothing is right about anything, it is all one flimsy prop on a rotting stage. A badly written, and even more badly performed joke. That is death. It rips away the polite facade and exposes this worst of crimes. There can be no justice, so long as there is death. I indict God as the arch criminal, No loving God would deliver such a curse. I know there are other ways of looking at Death, but that does not concern me now. I am not rational. I am not sane. I am alone, facing my death with a defiant stare. You brought me into this world and now you take me out. I hate you with all of my righteous power. Death has no place in my universe. I refuse to grant you this authority. F**k you, God. The Lord of Deceit should be your name! This is how we should address the whole issue of Death. Philosophy be damned!